All lab users must have successfully completed the Workplace Hazardous Materials Information System (WHMIS) course, available at the University of Waterloo Safety Office website. Fire extinguishers are located near the interior doors of each lab, in the service bays, in the garb room, the storage room and the loading bay. Material Safety Data Sheets (MSDS) are maintained in the Garb Room on the counter near the sink. This currently occupies three 3-ring binders. Chemicals are listed alphabetically. Safety glasses are available in the garb room and in the Etch Room (1137A) and Lithography Room (1137). Eye protection is required when working with chemicals and is recommended when using mechanical devices (wafer spinners) or when cleaving wafers. Safety glasses are also rquired when there is a danger of exposure to high intensity light sources, electric arcs (e-beam sources), plasmas and laser light. Eye wash fountains are provided beside each of the wet benches. There is an eye wash fountain in both rooms 1137 and 1137A. 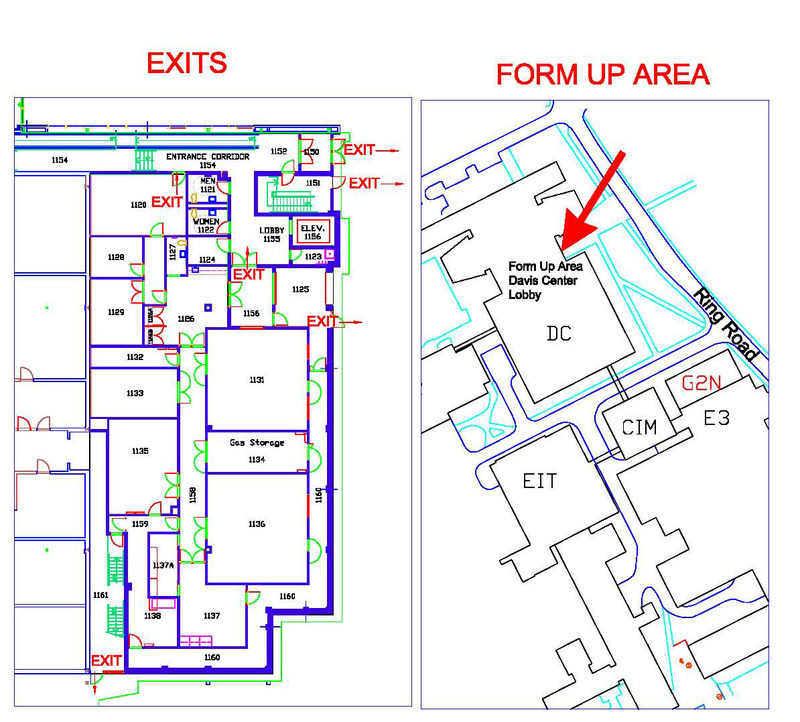 Emergency Showers are located in rooms 1137 and 1137A. Calcium cluconate cream for treatment of hydrogen fluoride burns is kept above the wet bench in the Etch Room (1137A). Use this cream according to the special instructions for treating HF skin contact. Advise the lab management if you use this cream. Chemical protection equipment: Neoprene rubber aprons and gloves and face shields are kept in the Etch Room (1137A). These are for your protection when mixing large quantities of hazardous chemicals. It is recommended that you use this equipment whenever you are using strong acids and bases or any other highly reactive chemicals.